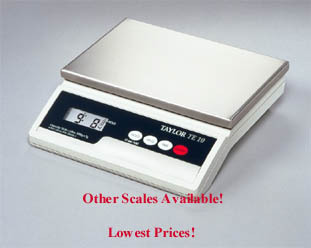 Taylor scales are the highest quality manufactured. all Taylor products will be free from defects in material and workmanship, during normal use and service, for as long as you own them. 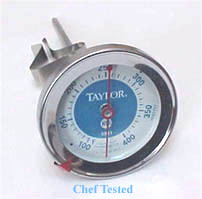 Taylor products exceed the standards for quality required by health departments across the country. With proper care these products will last for many years! 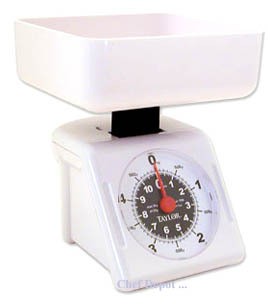 These scales are easy to calibrate to zero, simple place a container on top and turn the dial to zero! 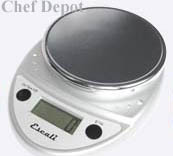 We have used our stainless steel scales for several years without any problems! We stock the complete line of Taylor products, please email us! 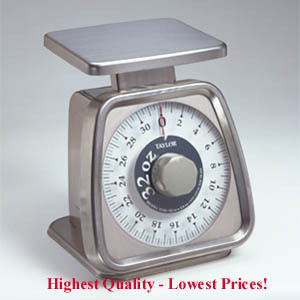 These are Taylor stainless steel scales, the best scales manufactured. 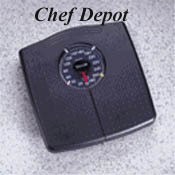 They are perfect for foodservice operations, portioning out meals, baking or following your favorite recipes accurately. The dials are easy to clean and they have built in tare for easy use. This is our new digital nutritional scale, it's a scale with a smart weighing system inside. This highly diverse diet scale has easy to use features to display Portable Nutrition Tracking. The Ultra Slim OCesto portable nutritional scale allows the user to have access to weight and nutritional data at home and away. The user friendly touch glass display shows calories, sodium, protein, fat, carbohydrates, cholesterol or fiber via the input of 999 different food codes. 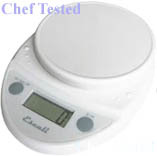 It can calculate total nutritional value for up to 99 different meal components. Measure Nutritional Content. Measure calories, sodium, protein, fat, carbohydrates, cholesterol and fiber content of food based on weight measurements for 999 of the most common food items. Add Nutritional Measurements Together. Calculate total nutritional values of multiple food components with the memory recall feature. Touch Sensitive Controls. The touch sensitive controls create a single, smooth glass surface which is easy to keep clean. Liquid Measuring: Measures both liquid (fl oz, ml) and dry ingredients (g, oz, lb + oz). 11 lb. max. Tare Feature : Reset the scale to zero weight to measure multiple items or subtract the weight of container. Automatic Shut-off: The scale will turn off after four minutes of inactivity to help conserve and extend battery life. This is the new 11 lb. Taylor food scale! It features a large dial with bold graphics for exceptional legibility. It also includes a dishwasher safe, break resistant bowl. The stainless steel model below goes up to 22 lbs. Lifetime Warranty! Click Here for Kitchen Islands & Chef Tables! This is the new 22 lb. Taylor food scale! It features a large dial with bold graphics for exceptional legibility. 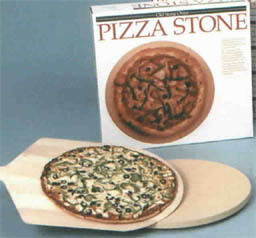 It also includes a dishwasher safe, break resistant stainless steel food platform. This model goes up to 22 lbs. Lifetime Warranty! The new Taylor analog bathroom scale is easy to use and very high quality. Easy-view speedometer dial with color-coded Weigh Tracker indicators and stylish injection molded rubberized platform. Heavy-gauge steel construction. 300 lb. capacity. 5 year warranty. 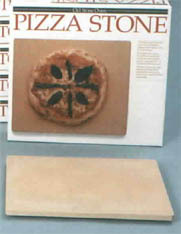 Includes easy-to-use operations manual including food codes. This is the candy makers favorite. Perfect for sugar work, candy making, jelly and deep fryers. It has a large heavy duty stainless steel clip that will fit any size pot or pan. The large dial is easy to read and measures in aprox. 3 in. diamater. 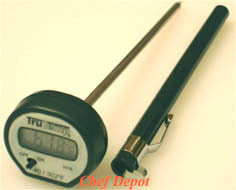 The range is 100 degree's F - 400 F.
Solid stainless steel construction, this thermometer is dishwasher safe. Click Here for Electric Knife Sharpeners. 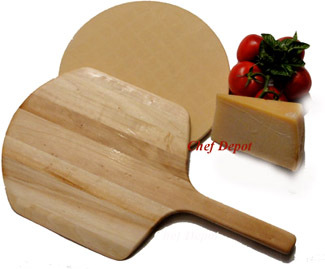 Click Here for Razor Sharp Chef Knives! Click Here for these black walnut beauties! This is the best refrigerator / freezer thermometer we have tested! It has a magnified, east to read clear plastic face. It is shatterproof and is filled with a non toxic liquid. Hangs from a suction cup, attaches to shelf or stands up. It reads from 40 to 60 degrees F. and is perfect for the refrigerator or freezer. This refrigerator thermometer is the most accurate and it scored the highest in our tests! 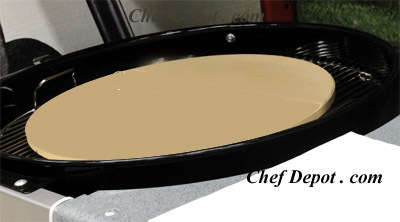 Click Here for Chefs Tables! The new 11 lb. 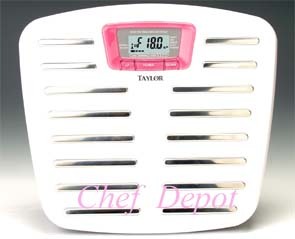 Taylor 3801 digital scale is great for recipes. Large weighing platform. Rubberized buttons. Tare function. Two long life lithium batteries included. Weighs in pound/ounces or kilo/grams. Engineered for consistent accuracy. Click Here Truffles from Italy - Vanilla from Madagascar! This is the Taylor Body Fat Scale! Simple stand on the unit and it will tell you your body weight and fat level instantly. This scale is now pink and white with a portion of the proceeds going to the Breast Cancer Research Foundation. Simple to use, programming prompts guide you through the steps! 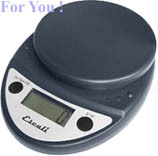 This scale has a large easy to read digital display. One Year Warranty! Medical Research indicates that a healthy level of body fat will reduce the risk of high blood pressure, cholesterol, heart disease, diabetes and cancer. Eat healthy and live longer - this scale will help you achieve your diet goals. This scale can not be used if you have a pacemaker or other internal device. 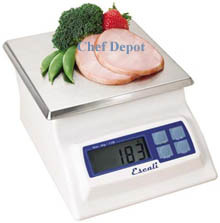 Chefs Note: We have tested many different scales and this is one of the best! I lost several pounds and dropped a few percent of body fat after a month of using this scale. 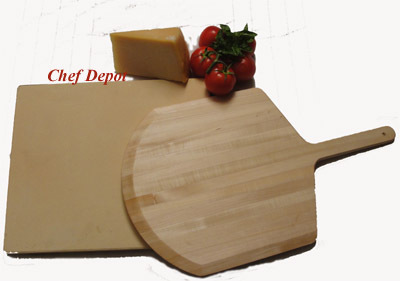 Chef is also using one of his large John Boos Maple Cutting Boards! #1 grade, NSF certified. 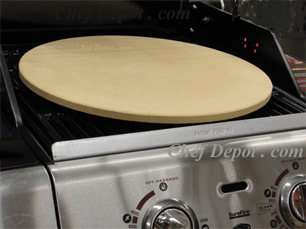 The grilling pizza stone helps keep your kitchen cool. Click Here for the featured Maple Kitchen Prep Table! This handy nutcracker makes a great conversation piece. Fun for the whole family! A great gift idea! Easily cracks your favorite nuts, Almonds, Pecans, Walnuts, Hazelnuts, ect. Lift the tail, place nut in mouth and press down on tail to crack your nuts. Solid Metal, 5.5 in. tall. Quantity Discounts. 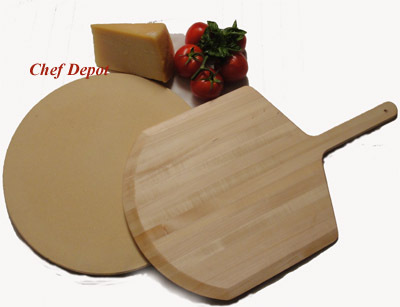 Click Here ~ NSF Approved Rock Maple Cutting Boards! Click Here for more Knife Guards! Black & White - Low Prices.. Here's one of the best "Digital Scales" manufactured today. This scale goes up to 10 pounds with 1/100th of an ounce accuracy. Built in Tare setting for time saving. Standard/Metric. Durable and compact for reliable, space saving use. Large, easy-to-read LCD readout. Corrosion-resistant stainless steel platform for easy cleaning. Can switch between lb. and kg. Tare, hold, auto off, and low battery indicator features. Dual powered by either a 120V adaptor (included) or a 9 volt battery (not included) for maximum flexibility. Exclusive, extended tare range up to 50 % of scale capacity. Moisture-resistant sealed components. Engineered for consistent accuracy. NSF listed. 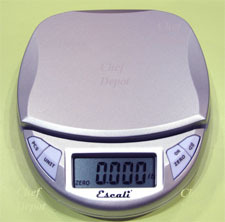 This Digital scales will save you time in the kitchen and bakery!